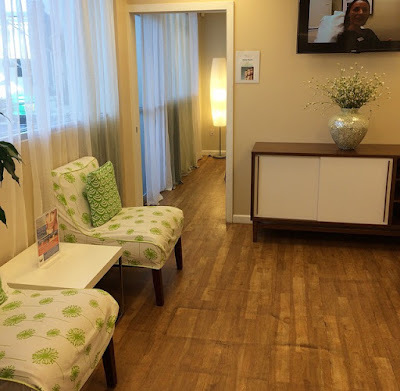 Hawaii Mom Blog: Honolulu MedSpa: HydraFacial Review + November Specials! 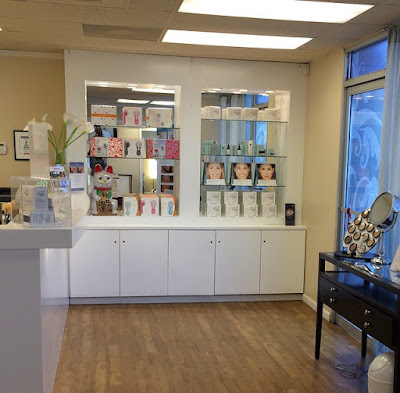 Honolulu MedSpa: HydraFacial Review + November Specials! Where all the magic happens! Table is heated and incredibly comfy! We're halfway through November and I am already overwhelmed with the list of things I need to take care of before Christmas: shopping for a Christmas tree and presents, decorating, baking for friends and family, party planning, family Christmas cards, etc. The list is a mile long! Before I got too stressed out, I decided to carve out some time to take care of myself and my skin. Between the kids, work, and holidays, skincare is usually last on my list. At night, motivated by sleep, I rush through my beauty routine and more often than not, my Clarisonic is untouched. It was a perfect time for me to visit Honolulu MedSpa (named #1 MedSpa in Hawaii by Modern Luxury!) for their HydraFacial Liquid Microdermabrasion, one of their medical grade facials. Just the word microdermabrasion puts me on guard, but the HydraFacial Liquid Microdermabrasion promised to be serum-based and gentle. I was immediately at ease with Honolulu MedSpa's Lead Medical Aesthetician, Nicole Bradford, as she cleaned and analyzed my skin. The serum is applied with an applicator that feels like a gentle suction on the skin. I felt a little tingling on the second round. After extractions, a calming mask is applied to the skin and you are treated to a mini-massage. My experience with the HydraFacial was wonderful and just as relaxing as facials at non-medical spas. I can attest that the facial leaves your skin feeling amazingly clean and soft. It was a wakeup call to see and feel my skin at its best! I also had no downtime and I could opt to wear makeup immediately afterwards. If you are concerned with the treatment of a specific skin problem, whether it be hyper-pigmentation or preventative care, then a medical spa like Honolulu MedSpa would be your best option where the focus is on the patient's outcome, but with a spa experience. Thank you to Honolulu MedSpa for the complimentary facial. All opinions are entirely my own. Gratuities were paid on my own. 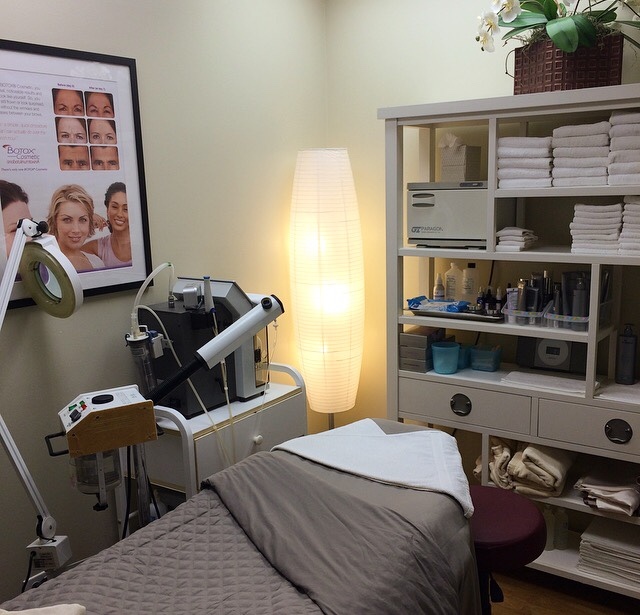 The MedSpa also offers products for purchase. Clean and relaxing waiting room. Check out these great November Specials! It’s all about the eyes, baby! Banish tired eyes & brighten up for that holiday sparkle. Boost that youthful gaze with TNS Eye Repair®, a luxurious blend of TNS, peptides, and antioxidants that helps reduce the appearance of dark circles. TNS hydrates and enhances the resiliency of the fragile skin around the eyes, while improving the look of fine lines and wrinkles, $78 (Regularly $98). Honolulu MedSpa (named #1 MedSpa in Hawaii by Modern Luxury) is the only full-service medical spa in Hawaii offering patients the chance to significantly improve their appearance without plastic surgery. Our on-site Medical Director , Dr. Yeo, and our dedicated team of medical professionals are committed to bringing you the most advanced technology, such as painless laser hair removal and vampire facials, and the best possible results. With a focus on safety and patient comfort, all of our treatments are non to minimally invasive and most can be accomplished in as little as an hour.